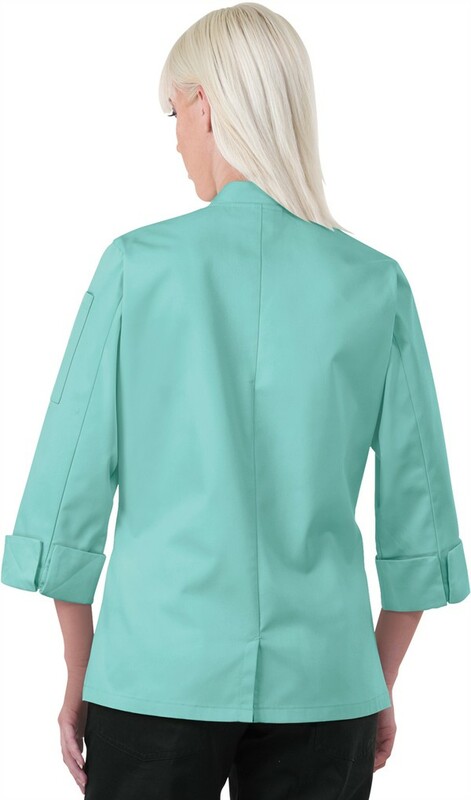 For the best in comfort, shop for the Women's double breasted chef coat featuring 3/4 sleeves with turn-back cuffs and reversible plastic button front closure. 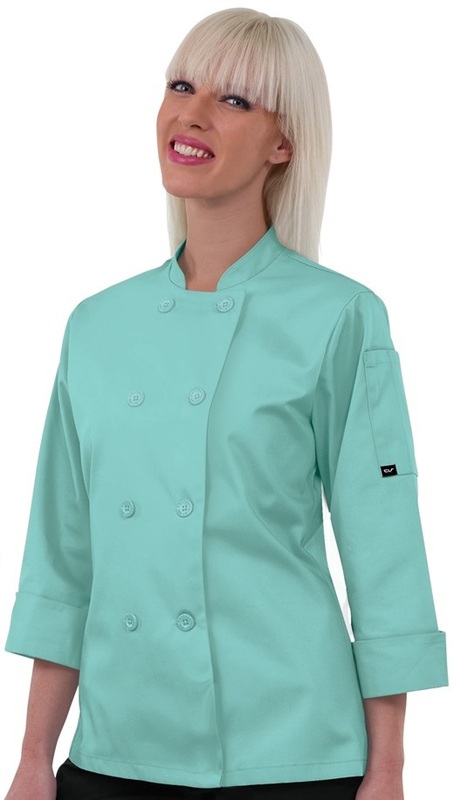 This tailored fit chef jacket offers a 2 piece executive back with center back vent offers a more tailored fit. There is also a thermometer pocket on the left sleeve. 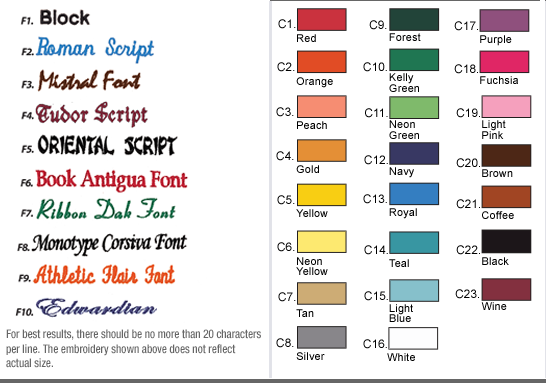 Easy care fabric is 65/35 Polyester/Cotton Twill. Approximate length for size Medium is 26 ½".